… Except the youngest female ever elected to Congress continues to embarrass herself with a limited understanding of how politics really works. But in her latest public gaffe, she went on a bizarre rant on Instagram live which left Americans questioning her mental sanity. In the video, Cortez is sitting on the floor of her D.C. apartment eating popcorn sipping on wine, and muttering slurred statements about her unfurnished apartment and claiming she didn’t even own a chair “until today” when she received a folding chair. She continues to rant as she eats her popcorn stating she lives on wine and popcorn a lot. Literally, you can’t make this stuff up. But then Cortez proceeds to actually start to assemble her IKEA furniture on the Instagram live video and continues on with more insane rants. After she lets America know about the “real struggles” she is facing sleeping on a mattress on the floor in her apartment, she changes tune and starts talking politics – uttering that future generations are going to suffer because Americans aren’t taking climate change seriously among with a whole other slew of random statements. “After rising to attend to some boards leaning against a wall, Ocasio-Cortez suddenly turned around, leaned down toward the camera, and — akin to a playground taunt — launched into a rant about her age and, like, other stuff. After watching her slurred rants, some people are even questioning if Cortez is fit to serve in Congress as her mental state seems a bit off. Her video wasn’t fully of humility and grace, confessing she had a teachable spirit and was willing to be mentored by those who have gone before her. Instead, her brazen words portrayed an arrogant spew of words, continuing so shout her anger at all she deemed unfair with the world. But none of this should come as a surprise to conservatives, who saw through her policies long ago. To start, it’s clear Cortez has no true comprehensive knowledge on the reality of how politics she works. A staunch supporter of universal healthcare, she wants free healthcare for all. But not stopping there, she thinks public universities should offer free tuition, minimum wage should be $15 an hour, and jobs and housing should be guarantees. None of this should come as a surprise, as Cortez previously worked for the Bernie Sanders Presidential Campaign. And as Mommy Underground previously reported, her “ideas” on what America should look like are just a symptom on the left is seeking to reconstruct America into a socialist society. And don’t even get us started on her warped views on how having children hurts the climate. Quick to criticize Trump and his policies, perhaps Cortez should go back to focusing on paying off her student loans and studying how the world really works. Given her latest Instagram rant complete with eating popcorn and drinking wine live, it’s clear she’s not ready to serve in Congress. And she’s certainly not a role model for young girls. 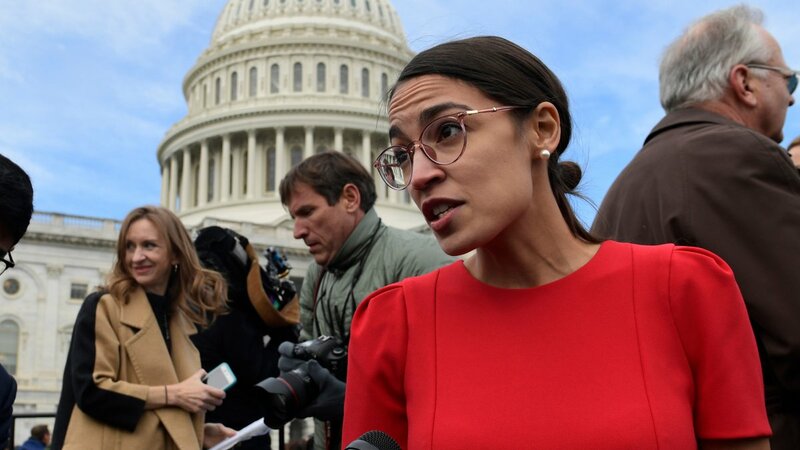 What are your thoughts on the Alexandria Ocasio-Cortez videos with her wine-induced rant about Climate Change and not owning furniture? Do you think little girls should look up to Alexandria Ocasio-Cortez as a role model?